April 27, 2019 from 10am-6pm for good vibes, outdoor games, and vegan treats at the latest installment of Palm Beach VegFest. There will be a variety of vendors selling vegan food, juices, yoga clothing and accessories, tea, kombucha, vegan apparel, essential oils, jewelry, skincare, and more! Palm Beach Vegfest is a 501c3 and profits are donated to local and national vegan efforts. Our mission is to bring you delicious and local plant-based food and educate our community about the benefits of healthy eating. A vegan lifestyle has been proven to reverse and cure diseases and its better for the environment and the animals. Parking is FREE in the garages. There is also metered street parking. Vendor & sponsor spaces start at $500. 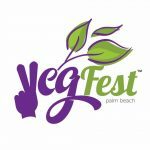 Visit pbvegfest.com to register as an exhibitor.